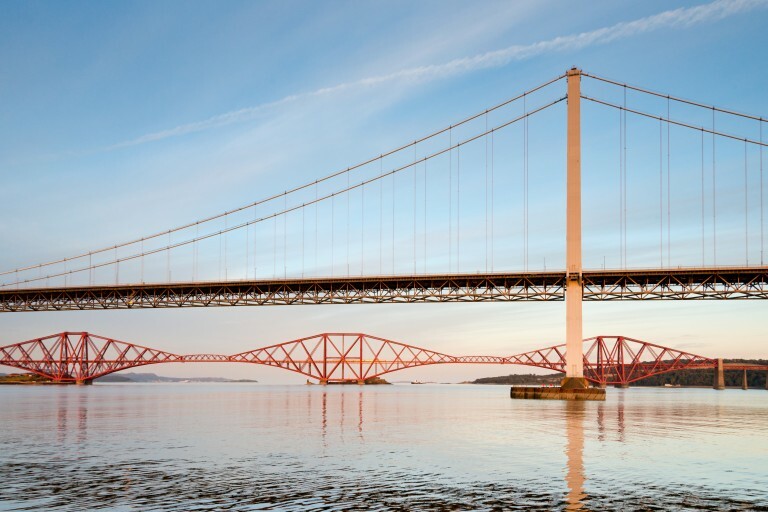 John Andrew explains the work that went into restoring the Forth Bridge after decades of disrepair, eventually earning it World Heritage status – and a Gold Blue Peter Badge! 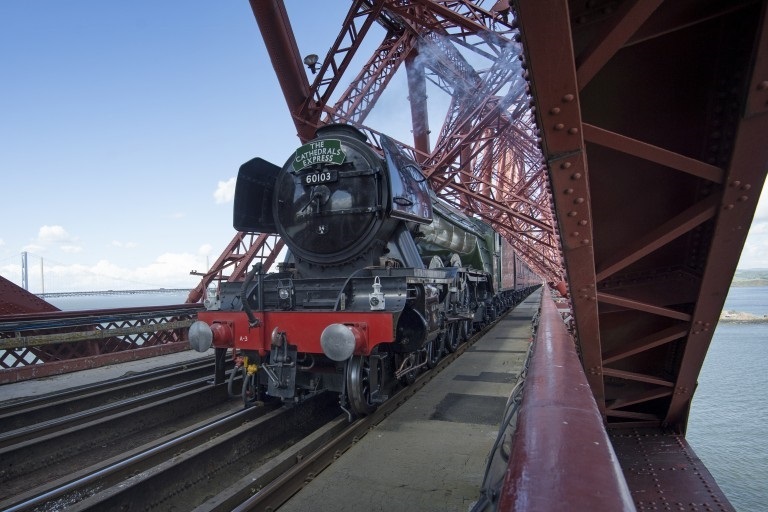 Two Industrial Heritage icons were recently reunited when the Flying Scotsman crossed the Forth Bridge once again following its £4.2m restoration. It’s not long since the Forth Bridge underwent a similar process. We spoke to contractor John Andrew about the work involved in restoring and maintaining this important piece of Scotland’s industrial heritage. 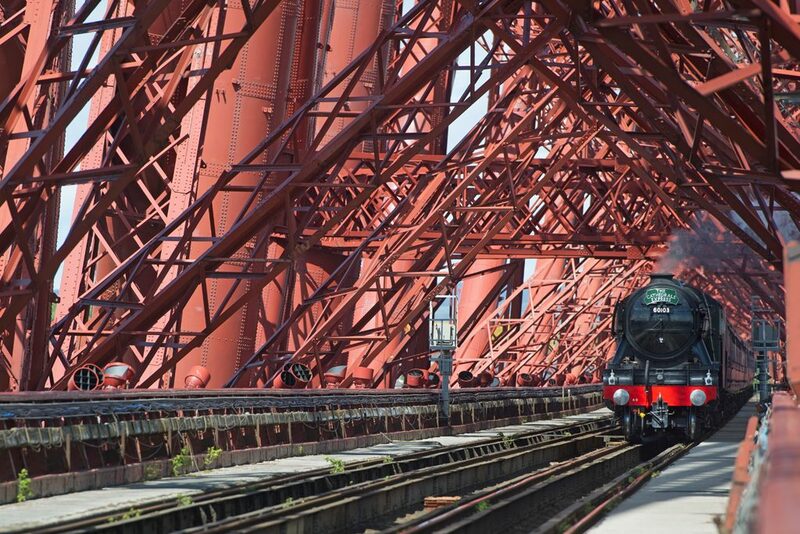 Restoring and maintaining a 94 year old steam locomotive was and continues to be a major task, but doing the same for the 127 year old Forth Bridge was an even bigger challenge. The restoration took 10 years and cost £130m. Ongoing maintenance to the structure and the steel rails that carry the trains continues on a daily basis, ensure the bridge is kept fully operational. 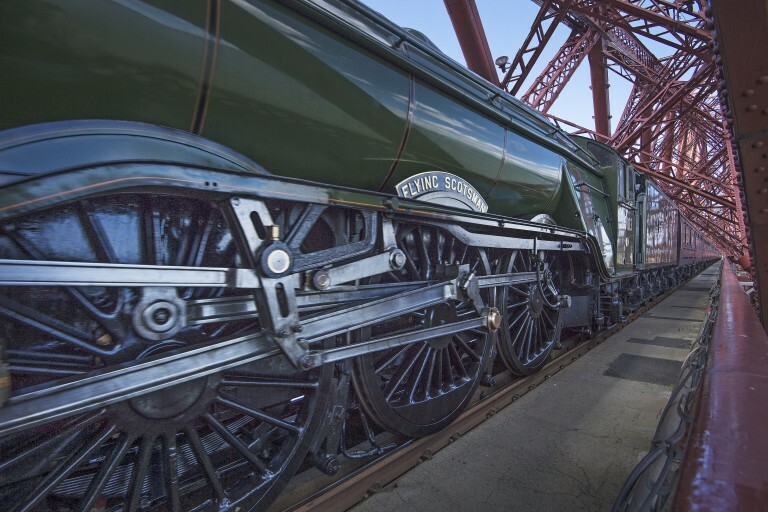 As a key part of the national rail network, the Forth Bridge is capable of carrying not only steam train trips like the Flying Scotsman, but the 200 trains that cross it each and every day. You may have heard the saying ‘it’s like painting the Forth Bridge’. This means embarking on a job that takes such a long time, you have to start all over again as soon as you get to the end. From the time when the first train crossed the Forth Bridge after its completion in 1890, there were squads of men who did just this – sort of. They hammered off cracked paint and painted over existing layers, but their equipment was limited, which meant the only parts of the bridge to be painted were the bits they could reach using ladders. In the 1970s, changes in safety regulations put a stop to this approach, and the maintenance ceased. Afterwards, water began to make its way into the cracks between the many layers of paint. Eventually the paint began to fail, and sections started peeling from the bridge, leaving behind large areas of rusted and exposed steel. 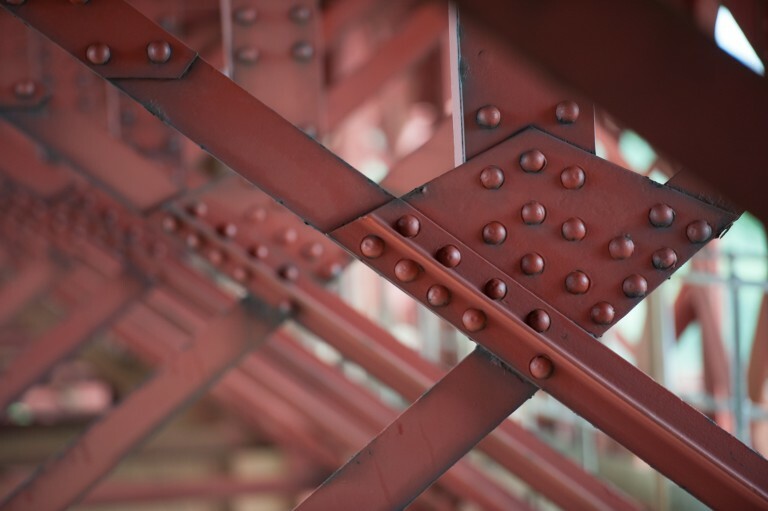 Once all the sections of work were completed, the scaffolding was removed to reveal the bridge with its new coat of Forth Bridge Red Paint. Just like the Flying Scotsman, it continues to operate as the designers and builders envisaged. Both will be maintained in the future, ensuring that future generations can continue to marvel at two icons of engineering, recognised throughout the world. At the project’s peak, over 4,000 tonnes of scaffolding was put in place over the bridge. Each tube and clamp was fitted by hand. During the restoration, the scaffolding was covered by what looked like bandages, but was in fact a high tech, heat sealed plastic. This helped keep the old paint and grit from dropping into the River Forth below, and stopped the wind and rain from affecting the progress of the works. Over 1500 people were employed during the contract with 400 working each day, almost like a small village. The new paint system was developed using techniques from the off-shore oil industry, and is designed to protect the bridge for in excess of 30 years. It took 240,000 litres of paint to cover the bridge. Most of the paint was applied by spraying it onto the steel – but each of the 6.5 million rivets, joints and seams in the steel plate were painted by hand with an old fashioned brush! In 2012, as the restoration was nearing completion, the Forth Bridge was awarded a Gold Blue Peter Badge. 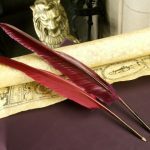 It is the only inanimate object ever to have received this distinction. In 2015, following the restoration project, UNESCO inscribed the Forth Bridge as a World Heritage Site – the sixth in Scotland. 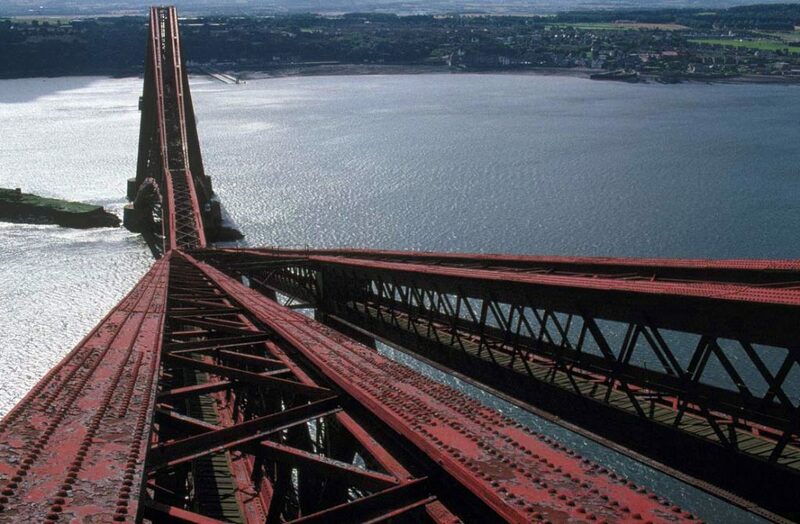 Still hungry for Forth Bridge facts? Try our post on six facts you might not have known about this masterpiece of Victorian engineering!